Leah Washington and Vicky Balch were on the front row of the Smiler ride which crashed into an empty carriage in front of it in 2015. Merlin Entertainments, which owns Alton Towers, were fined £5m as a result of the crash, which left five people seriously injured. Lawyers for the two girls, who each had a leg amputated following the crash, have said that their injuries were caused by Merlin’s ‘negligence and/or breach of statutory duty’. They could each reportedly receive ‘well in excess of £2m’ in compensation if the High Court claim is successful. The owners were told to expect “a very large fine”, after the resulting investigation into the Smiler ride crash found that human error was to blame. Merlin admitted breaching health and safety regulations in April 2016 and accepted that additional measures could have been taken to protect the safety of passengers. The company was ordered to pay costs of £69,955.40. At the ruling, Judge Michael Chambers QC began his opening remarks saying there was a “catastrophic failure” and that the crash was a “needless and avoidable accident in which those who were injured were lucky not to be killed”. He said the crash was exacerbated by the design which left the passenger hanging for four to five hours waiting to be rescued by the emergency services. The Judge continued that Merlin Entertainments is “entitled to credit” for pleading guilty and cooperating with the investigation. He said the engineers should have seen the stalled carriage on CCTV if they had checked it in the control room. He said it took too long for the emergency services to be called – 17 minutes, and it was over four hours before they were released after impromptu scaffolding was erected. The judge said that the passengers suffered “physical and psychological injuries” and the victims on the front row suffered injuries that were life changing, as well as significant blood loss. The Judge has agreed with the HSE‘s claim of ‘high’ culpability by a lack of systems. In reviewing the sentencing guidelines, Judge Chambers said that the offender fell far short of required standards. “I am satisfied there was a high risk of harm, so this is category one. The Judge took note of the previous convictions at Warwick Castle, which he said should have left a “ringing in the ears”. He added that the defendant does have a good health and safety record overall. He then fined Merlin Entertainments £5m for the Smiler ride crash. Following sentencing, Neil Craig, the HSE’s Head of Operations for the Midlands said: “When people visit them parks they should be able to enjoy themselves safely. “Merlin failed to protect their customers. They let them badly down. It is right they have been held to account for those failing in a criminal court. Paul Paxton, from Stewarts Law, who is acting on behalf of the eight victims, said: “Symbolically and practically, today marks a closure of what has been a long and painful chapter for my clients. Nick Varney, Chief Executive of Merlin Entertainments, said the company “accepted full responsibility for the terrible accident at Alton Towers”. He added: “In accepting responsibility and liability very early on we have tried to make the healing and compensation process as trouble free as possible for all those involved. “We have strived to fulfill our promise to support them in every way and I promise that this support will continue as long as they need it. “We were always aware that we would end up here today facing a substantial penalty. “However, Alton Towers – and indeed the wider Merlin Group – are not emotionless corporate entities. Commenting for SHP at the time, Dr Simon Joyston-Bechal, Director of Turnstone Law said: “This is the first major case to come up under the new sentencing guidelines. “The fact that Merlin’s turnover is several hundred million pounds means ‎the judge needed to looking closely for the first time at the guideline recommendation that, in order to achieve a proportionate sentence, he can go beyond the top of the stipulated range of fines. Also commenting for SHP, Kevin Bridges, Partner at Pinsent Masons, said: “This is perhaps a lower fine than was predicted but nevertheless it is the highest fine we have seen since the Sentencing Guidelines took effect. “Although the judge appears to have said he would stay within the range for large companies where culpability is high and the harm category is 1, which is a maximum of £6m, the defendant had, of course, pleaded guilty at an earlier hearing. “That would have entitled them to up to a one third discount, which would have placed the fine at £7.5m initially. “This is some way north of the top of the range for this offence category. Perhaps the aggravating features and the previous Warwick Castle conviction took the fine initially beyond the bracket, but was brought back down to within it once credit for the timely guilty plea was applied. Louise Ward, Policy and Standards Director at the British Safety Council, said: “This was a tragic incident in which a number of people suffered significant physical and psychological injuries. Our thoughts today are with all of those who were affected by this incident. 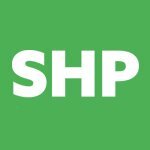 “The British Safety Council has always championed the need for a transparent and consistent approach to sanctioning for health and safety offences, where the penalty applied is proportionate to the circumstances of the offence. “To that end, we supported development and implementation of the sentencing guidelines for health and safety offences in 2015. It will be important to review how the legal arguments presented during this case have added definition to the framework. 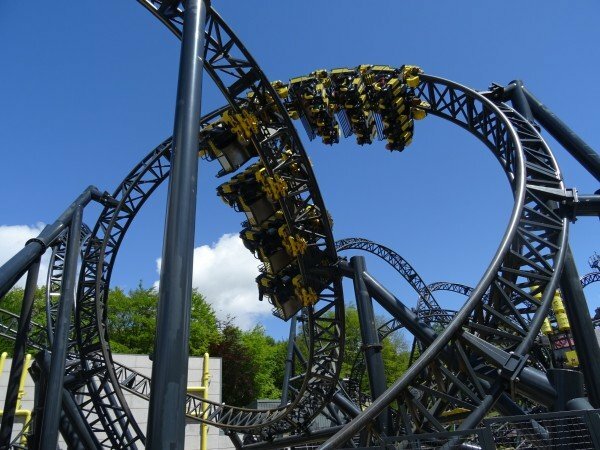 In June 2015, two carriages on the Smiler rollercoaster ride at Alton Towers crashed, leaving passengers trapped for four-and-a-half hours. Four people were seriously injured in the crash. Leah Washington and Vicky Balch both had to have a leg amputated, while Joe Pugh had to learn to walk again and Daniel Thorpe had serious leg injuries. The carriage collided with a stationary carriage on the same track after an internal investigation at the theme park found that ‘human error’ was to blame in over-riding a computer system in allowing a carriage to continue on the track and crash into an empty carriage. He explained how a test carriage had been sent around the 14-loop ride but had got stuck because of a headwind with speeds of up to 46mph. The theme park’s procedures stated that the ride should not be operated if there was a “constant” wind speed of more then 34mph. Unaware that the test carriage had got stuck, engineers overrode a ‘block stop’ on the computer system, which they believed had halted the ride in error and sent a full 16-seater carriage around the track and into the back of the empty carriage. In court, Mr Thorogood said the fault was with the employers, not with the individuals, who weren’t given a system to follow to deal with this problem n the track. “The fault is with the defendant for not devising a scheme, for not guiding the work of the engineers,” he explained. New emergency stop button installed at ground level. Previous legal action against Merlin Entertainments after a worker fell from a ride at Legoland in 2011, which the prosecution says was a “wake-up call missed”. Simon Antrobus, the barrister representing Merlin Entertainments said the company accepted its responsibility and that the accident was avoidable. The company also apologised for the way it handled the rollercoaster crash in the media. Simon Antrobus said it was wrong to blame human error in the press release when the crash happened. He said the company wishes its “response had been more human, than corporate”. Mr Antrobus has defended his client’s character saying it is regarded as “the most reputable operator in this field”. He added that the company had “made a serious failing, but otherwise is of good character”. He also said the two previous health and safety breaches in 2007 and 2012 were “not very relevant” to this case. The chief executive apologised on national television on the day of the incident. Simon Antrobus told the court that an alarm should have gone off on the Oblivion ride, situated next to the Smiler ride, when wind speeds went above 32mph. However, this failed to go off. He said that new wind speed measures had been installed specifically for the Smiler ride. Judge Chambers suggested that some of this was foreseeable. Simon Antrobus said it was a rare experience, while the judge said he found that difficult to accept. Continuing his defence, Mr Antrobus said the chances of the crash were highly unlikely. The ride had been operated three million times before the crash occured. “While safety measures had been in place, these have been increased since the crash,” said Mr Antrobus. Not enough had been done in training technicians, said the defence barrister. They were trained by the manufacturer, which Merlin said was thought to be the best approach, Simon Antrobus said. The court heard that only one of two electrical engineers who attended the crash on the day had trained with the manufacturer. The court heard that Merlin Entertainments has a turnover of £500m. With the new sentencing guidelines, health and safety offences are attracting much higher fines. According to the new sentencing guidelines, fines are divided out according to ‘harm category’ and ‘culpability’. Merlin disputed the Health and Safety Executive’s claim that the company had “very high culpability”, urging the judge to view it as “medium to high”. Extracted from the Sentencing Council’s definitive guidelines to Health and Safety offences, Corporate Manslaughter and Food Safety and Hygiene offences. What is your point? Should Merlin not have been fined so much? Would a fine of 125 million been enough to prevent this happening again? I thought 5 million to be very fair as long as it changes the corporate culture, that’s what matters, that we learn from this.